Sudan's Dictator Just Fell: What Comes Next? The Sudanese armed forces ousted Sudan’s longtime dictator Omar al Bashir on April 11 after months of massive nationwide anti-regime protests. What happens next in Sudan is critical to U.S. and European national security interests. Illicit networks that run through the under-watched East African country of over 40 million people support groups like al Qaeda and the Islamic State, as well as Hamas and others. The Salafi-jihadi movement, of which al Qaeda and the Islamic State are part, has also recruited many Sudanese. Sudan has played a destabilizing role across Africa and the Arab world, using proxies to undermine neighbors and courting support from U.S. competitors like China and Russia. Sudan faces an internal power struggle that could spark a wider conflict that would challenge key regional states and create opportunities for the Salafi-jihadi movement to grow. Thirty years of authoritarian rule under Bashir has bankrupted and isolated Sudan, creating the conditions that caused the country’s current crisis. Bashir rose to power in a 1989 military coup and remade Sudan as an Islamist state. He stayed in power by doling out political patronage, playing competing political factions against each other, and brutally suppressing dissent. International sanctions for the Sudanese regime’s support for terrorism and its war crimes in the Darfur conflict and elsewhere crippled Sudan’s economy for years. The 2011 secession of South Sudan—and with it, three-fourths of Sudan’s oil—compounded Sudan’s slowly mounting economic crisis. The military coup that brought down Bashir followed the largest protests in Sudan’s history. The rising price of bread sparked protests in December 2018 that quickly expanded and evolved into calls for regime change. Bashir’s concessions to protester demands failed, and days after Algeria’s longtime president resigned, protesters began a sit-in at the army headquarters in Khartoum, Sudan’s capital. Sudanese security services attempted to disperse the crowd and clashed with army soldiers, who defected to protect the protesters on April 7. Officials in the Sudanese police ordered forces not to act against protesters on April 9. The defection of military and police officials marked a turning point for Bashir, who relied on repressive tactics to hold power. The Sudanese Defense Minister, who has been under U.S. sanctions since 2007, announced Bashir’s arrest and the formation of a two-year transitional military government on April 11. The military’s transition plan will not stabilize Sudan and will instead prompt competition between security services. Bashir invested in security institutions parallel to the military and police forces to limit their power. These institutions, such as the National Intelligence and Security Service (NISS) and the RSF militia (created from the notorious Janjaweed militias of Darfur), may have backed the military’s coup, but they will seek to protect their own interests against the military and obtain influence in the transitional government. The military will likely move to subordinate, reduce funding for, or disband the NISS and RSF in order to reassert its traditionally dominant role in Sudanese politics. This will likely prompt at minimum a low-level conflict between security services. Such a conflict will spark a wider civil war if rival security services seek exploit tribal or ethnic grievances to rally support from informal militias, a phenomenon that has historically fueled conflict in Sudan. Indicators that Sudan is moving along this trajectory would include the arrest of security officials, insubordination or mutinies among security forces, or the formation of well-armed militias among tribes linked to the NISS or RSF. The transitional government might simultaneously spark multiple insurgencies from civilian political parties and the wider protest movement. The transitional government has not appeased the protesters, who see little difference between the Defense Minister and Bashir, and will create deadlock between civilian and military institutions in Sudan. No political organization can pressure the military to step aside. The ruling National Congress Party (NCP) is too divided and will splinter further along personal and tribal lines in the aftermath of the coup. The protesters are unlikely to rally behind the NCP, which the military is already persecuting. This will incentivize the various NCP factions to rely on their militias to protect their interests. The participation of controversial rebel groups in the protests provides a pretext for the military to prevent civilian governance and could hinder efforts to unify the opposition. The protesters feel emboldened, however, despite the challenges posed by the lack of a cohesive opposition. If protesters sense that the transitional government is weak from its own internal divisions, it will increase the likelihood that insurgent movements emerge from the opposition and that existing rebel groups renew their efforts to overthrow the regime. The formation of new alliances between rebel groups and political parties would indicate an emerging insurgency in Sudan. So too would additional defections of security forces to the protesters’ camp. Sudan’s destabilization might allow Salafi-jihadi groups to reestablish a territorial safe haven as they lose territory elsewhere. Sudan was one of al Qaeda’s first havens and remains an attractive refuge for Salafi-jihadi fighters. 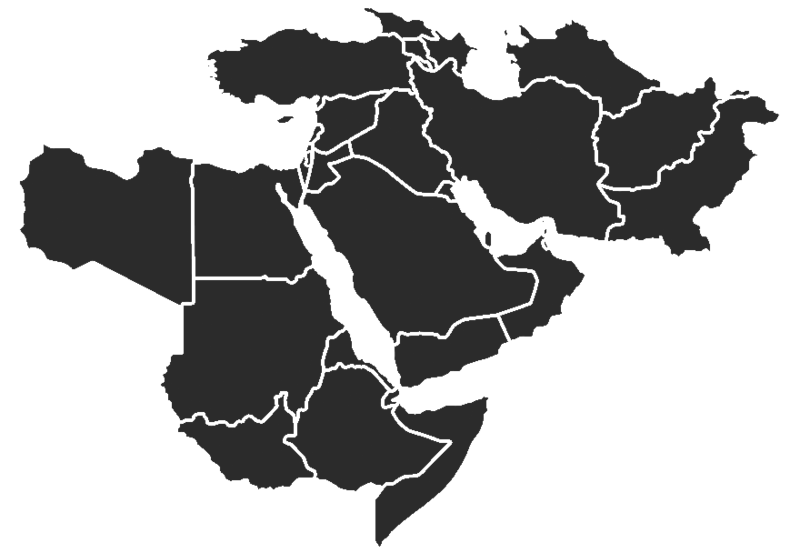 It is a crucial transit zone between hotspots of Salafi-jihadi activity, including Yemen, the Horn of Africa, Libya, the Sinai, and the Lake Chad Basin. Organizations under US sanctions for their support to al Qaeda continue to operate in Sudan and hundreds if not thousands of Islamic State fighters relocated to Sudan. Sudan-based Salafi-jihadis could mobilize internally in support of the Sudanese people or against a military crackdown on Islamists. The persecution of political Islamists has fed the growth of the Salafi-jihadi movement in other countries, notably Egypt. A power struggle in Sudan would have outsized regional effects by drawing in regional and extra-regional states seeking to shape the conflict. Sudan is entangled in various geopolitical competitions, including the war in Yemen, a controversial Nile dam project, and a foreign-power competition for military bases in the region. Sudan’s northern neighbor, Egypt, would likely intervene to secure its various interests in Sudan, including maintaining control of a disputed territory and supporting proxies to affect government positions on the Nile Waters Agreement. A Salafi-jihadi mobilization in Sudan might also inflame Egypt’s terrorism problem, given that Sudan hosted Egyptian terrorist groups in the 1990s. Sudan’s eastern neighbor, Ethiopia, is transitioning under a new reformist leader. Ethiopia might intervene to counter Egypt and to limit the spillover effect from Sudan, as mounting ethnic violence already risks undermining Ethiopia’s transition. Turkey, the Gulf States, and Russia, all of which have aggressively expanded their presence in East Africa over the past five years, might seize the opportunity to bring Sudan into their own spheres of influence. The UAE and Saudi Arabia might encourage the NISS and RSF, with which they have close ties, to crack down on Qatari-backed Islamist parties like the NCP. This would increase the likelihood of Islamist insurgency in Sudan. The potential collapse of Sudan compounds the growing strategic risks that Africa poses to the U.S. and its partners. State failure, humanitarian catastrophe, illicit networks, and terrorism are contributing to a wider unraveling across much of Africa. These problems will not remain within Africa. Sudan’s collapse would exacerbate Europe’s refugee crisis, to take one example. The U.S. and its partners must recognize these risks and the challenges of Sudan’s transition as they begin to grapple with a post-Bashir regime. “Sudan’s Bashir detained, military council takes over: defense minister,” Africa News, April 11, 2019, https://www.africanews.com/2019/04/11/sudan-s-president-bashir-steps-down-govt-sources/. “Sudan and Darfur sanctions,” U.S. Department of the Treasury, https://www.treasury.gov/resource-center/sanctions/programs/pages/sudan.aspx. Anthea Pitt,” South Sudan A new republic built on oil,” Petroleum Economist, July 18, 2011, https://www.petroleum-economist.com/articles/politics-economics/africa/2011/south-sudan-a-new-republic-built-on-oil; and Eric Knecht, Khalid Abdelaziz, “A year after U.S. sanctions ended, Sudan’s economy unravels,” Reuters, September 17, 2018, https://www.reuters.com/article/us-sudan-economy/a-year-after-u-s-sanctions-ended-sudans-economy-unravels-idUSKCN1LX0J4. “Timeline: Four months of protests in Sudan,” France 24, April 11, 2019, https://www.france24.com/en/20190411-sudan-timeline-four-months-mounting-protests-bashir; and “Improving prospects for a peaceful transition in Sudan,” International Crisis Group, January 14, 2019, https://www.crisisgroup.org/africa/horn-africa/sudan/b143-improving-prospects-peaceful-transition-sudan. F. Jeffery, Twitter, April 8, 2019, https://twitter.com/Natsecjeff/status/1115197053020385280; and “Sudan protest: Clashes among armed forces at Khartoum sit-in,” BBC, April 8, 2019, https://www.bbc.com/news/world-africa-47850278. “Sudan protest: Clashes among armed forces at Khartoum sit-in,” BBC, April 8, 2019, https://www.bbc.com/news/world-africa-47850278; and “Sudan army ranks seem to be tilting towards protestors: analysts,” Agence France-Presse, April 10, 2019, https://www.nation.co.ke/news/africa/Sudan-army-ranks-seem-to-be-tilting-towards-protestors/1066-5065240-v2x7qj/. “Sudanese police fire tear gas, arrest protesters in Khartoum,” Reuters, January 16, 2018, https://www.reuters.com/article/us-sudan-politics/sudanese-police-fire-tear-gas-arrest-protesters-in-khartoum-idUSKBN1F514H. Nile Nomad, Twitter, April 11, 2019, https://twitter.com/NileNomad/status/1116311457803665408. Benjamin Dodman, “With army appeal, Sudan protesters test Bashir’s ‘coup-proof’ regime,” France 24, April 9, 2019, https://www.france24.com/en/20190409-sudan-protests-army-bashir-niss-security-forces; and Brendan Koerner, “Who are the Janjaweed?” Slate, July 22, 2004, https://slate.com/news-and-politics/2004/07/who-are-the-janjaweed.html. Yousra Elbagir, Twitter, April 11, 2019, https://twitter.com/YousraElbagir/status/1116213440329203712. “Sudan’s main protest group says it will only accept civilian transitional government,” Reuters, April 11, 2019, https://www.reuters.com/article/us-sudan-politics-opposition/sudans-main-protest-group-says-it-will-only-accept-civilian-transitional-government-idUSKCN1RN14O?il=0. Luka Kuol, “Sudan’s shifting calculus of power,” Africa Center for Strategic Studies, March 11, 2019, https://africacenter.org/spotlight/sudan-shifting-calculus-of-power/; and “Sudan’s Bashir detained, military council takes over: defense minister,” Africa News, April 11, 2019, https://www.africanews.com/2019/04/11/sudan-s-president-bashir-steps-down-govt-sources/. “Understanding the significance of the protests in Sudan,” Africa Center for Strategic Studies, January 28, 2019, https://africacenter.org/spotlight/understanding-the-significance-of-the-protests-in-sudan/; and “Sudan’s Bashir detained, military council takes over: defense minister,” Africa News, April 11, 2019, https://www.africanews.com/2019/04/11/sudan-s-president-bashir-steps-down-govt-sources/. Magdi El Gazouli, “Sudan’s traitors, saboteurs and masakeen,” Sudan Tribune, December 27, 2018, http://www.sudantribune.com/spip.php?article66831; and Willow Berridge, “Sudan Uprising III: What 1964 and 1985 tell us about today’s protests,” African Arguments, January 7, 2019, https://africanarguments.org/2019/01/07/sudan-protests-learn-1964-1985/. Robbie Gramer, “Trump administration gives Sudan a way to come in from the cold,” Foreign Policy, November 8, 2018, https://foreignpolicy.com/2018/11/08/trump-administration-gives-sudan-a-way-to-come-in-from-the-cold-sanctions-relief-trump-africa-state-sponsor-terrorism-human-rights-terrorism/. Bruce Hoffman and Seth Jones, “Early withdrawal will lead to more terrorism,” Wall Street Journal, January 10, 2019, https://www.wsj.com/articles/early-withdrawal-will-lead-to-more-terrorism-11547165066; and “Islamic relief agency admits illegal funds transfer to Iraq,” Associated Press, July 21, 2016, https://www.foxnews.com/us/islamic-relief-agency-admits-illegal-funds-transfer-to-iraq. Christian H. Heller, “The Sinai insurgency: the next ISIS crisis?” Small Wars Journal, https://smallwarsjournal.com/jrnl/art/sinai-insurgency-next-isis-crisis. Charu Sudan Kasturi, “The failed assassination bid that ended al-Qaeda’s stint in Sudan,” April 27, 2018, https://www.ozy.com/flashback/the-failed-assassination-bid-that-ended-al-qaedas-stint-in-sudan/85731. “Is Ethiopian PM Abiy’s reform drive running out of steam?” Deutsche Welle, April 1, 2019, https://www.dw.com/en/is-ethiopian-pm-abiys-reform-drive-running-out-of-steam/a-48120788. Marcel Plichta, “Why Russia is standing by Sudan’s Bashir,” World Politics Review, March 29, 2019, https://www.worldpoliticsreview.com/articles/27714/why-russia-is-standing-by-sudan-s-bashir. “What next for Sudan and its ‘master manipulator Omar al-Bashir,” BBC, April 11, 2019, https://www.bbc.com/news/world-africa-47869178. Currently receiving 0 of 12 possible notifications for this sort of content.